In the depths of Rising Star Cave in South Africa palaeoanthropologists discovered more than 1500 fossils. These bones turned out to represent a whole new species, named Homo naledi. However, the sheer quantity of fossils implied something even more interesting. Rising Star Cave may represent the oldest burial in the human family. The significance of such a find would be huge. But we need to answer some key questions before we star re-writing textbooks. For example, we don’t actually know how old the “oldest burial” actually is. And, perhaps more importantly, we aren’t sure if it’s actually a burial either. Whether Homo naledi deliberately placed these fossils has been debated since they were first found. However, the discovery of a snail deep in the cave may have finally sealed the deal in favour of a million-year-old graveyard. Homo naledi was found in a chamber in the bowels of Rising Star Cave. The “room” was almost inaccessible, requiring researchers to belly crawl, climb up a wall of sharp rocks, before dropping down into the fossil room. What was discovered in there turned out to be a whole new species that is potentially one of the first true “humans” in the human family. Cross-section of Rising Star Cave. Could the Dinaledi chamber, where the fossils were found, be the site of the world’s oldest burial? However, the fossil chamber itself also attracted a lot of attention. It’s so hard to reach that it raises a lot of questions about how the bones got in there. The chamber didn’t contain any evidence it had another, easier entrance that has since caved in. The fossils didn’t show any sign of carnivore damage. As such, it seems unlikely that a predator dragged them into the cave. There’s also an almost complete absence of any other animal fossils. No known contemporary carnivore is that selective in what it hunts. The bones appear to have accumulated over a long time, ruling out some catastrophe or cave in. Finally, the fossils don’t contain any evidence they were washed into the cave. There is evidence they were once submerged, but the water seems to have been stagnant. All in all, it seemed impossible for the fossils to have actually reached the Dinaledi chamber. At least, it seemed impossible without human (or hominin) intervention. This led many of the researchers involved to conclude it must have been a case of deliberate burial. If you eliminate the impossible then whatever remains, no matter how improbable, is the truth. This line of reasoning was the primary support for the burial hypothesis. However, not every researcher was convinced that all the alternatives had really been eliminated. Straight away there was some skepticism of the claim. There were many different critiques of the burial hypothesis. Some even criticised whether it was even physically possible. After all, if the cave is so hard to get to then how do you get to it whilst hauling a corpse? These critiques culminated in a rather scathing article that handily unpacked much of the evidence in favour of the burial hypothesis. Small mammals were found in the cave, which is evidence birds were in there. Birds aren’t exactly known to venture deep into caves, suggesting it may have been more accessible in the past. All in all, it seemed like a compelling case that burial isn’t the best explanation for these fossils. Those in favour of the burial hypothesis don’t consider these critiques the final nail in the coffin (ha). Instead, they’ve hit back at these arguments in a new article. However, as well responding to these claims they present additional evidence in favour of their position: the discovery of a snail. Or rather, the rediscovery of one. 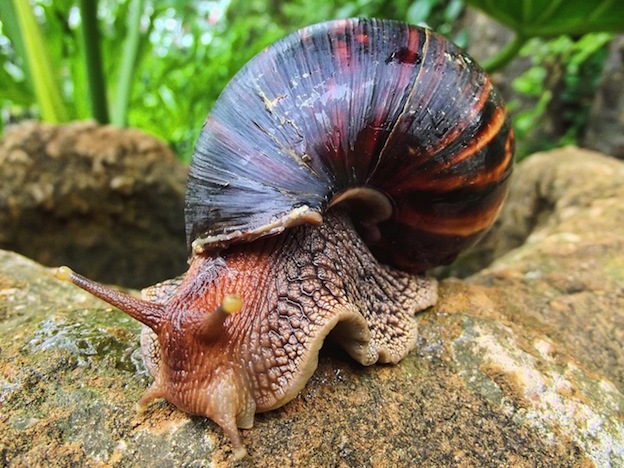 Back in 1910 researchers in the Rising Star Cave reported the discovery of snails deep in its bowels. Although none have been recovered from the Dinaledi chamber where Homo naledi was found, this seems to suggest that it’s not impossible they were there at one point. Thus, they could actually have done the damage without the cave being closer to an entrance. Similarly, these authors manage to find issues with many of the other critiques levelled at them. For example, the damage done to the bones is often patchy and superficial. Thus they contend it could not have completely eliminated any evidence of carnivores. And yet there was still no evidence of carnivores, allowing them to confidently rule out predators as a potential explanation. They also concede that whilst many of the skeletons are incomplete, they’re still more articulated than you would expect if they’d been moved there. For instance, complete hands were found at the site. If you tried to move a hand after it had decomposed you’d need a dustpan and brush. Thus the fact there are some there shows this must have been their original resting place. All in all, it’s still the same argument. That they’ve ruled everything out so it must be the oldest burial. Whether you think their right depends on how much you trust this line of reasoning. Personally, I’m not so confident they can have ruled everything out given they haven’t even finished excavating the “burial” chamber. But as all this arguing shows, there’s nothing found yet that would indicate they were wrong. Homo naledi might have performed the worlds oldest burial. Or they might not have. The debate is ongoing, but new finds show that burial can’t be ruled out just yet. Dirks, P.H., Berger, L.R., Roberts, E.M., Kramers, J.D., Hawks, J., Randolph-Quinney, P.S., Elliott, M., Musiba, C.M., Churchill, S.E., de Ruiter, D.J. and Schmid, P., 2015. Geological and taphonomic context for the new hominin species Homo naledi from the Dinaledi Chamber, South Africa. eLife, 4, p.e09561. Dirks, P.H.G.M., Berger, L.R., Hawks, J., Randolph-Quinney, P.S., Backwell, L.R. and Roberts, E.M., 2016. Comment on “Deliberate body disposal by hominins in the Dinaledi Chamber, Cradle of Humankind, South Africa?”[J. Hum. Evol. 96 (2016) 145–148]. Journal of human evolution, 96(14), p.9e153. Val, A., 2016. Deliberate body disposal by hominins in the Dinaledi Chamber, Cradle of Humankind, South Africa?. Journal of human evolution. I think I read somewhere recently that there is a possibility that there could have been another entrance to the cave ? That would explain most of the evidence? Otherwise, how sure can one be, over a 2 million year period, that those bodies were deposited there over a period of time ? Then it must have been a long period of time to be distinguishable? Could the bodies not originally have been deposited in different caves, deteriorated at different rates and then washed into one space? To imagine a catastrophe happening in Africa, is very easy. Massive winter veld fires are an everyday occurrence. Do we know more or less when the last comet hit in this area ? There is still this everlasting question of why the early hominids left Africa ? If one needed to live off the veld there could obviously not have been a better place than Africa in those days. Unless they then already had a “walk about” gene, or a catastrophe occurred. They’ve shown that there was no alternate entrance to the chamber the fossils were found in but they haven’t examined the rest of the cave. For all we know there could have been easier access in just the next room over. As for why hominins left Africa, that bit is known. Basically, being at the leading edge of a migration gives a benefit as you have a monopoly on local resources. That is a fascinating idea, I’ll definitely have to look into it.